[And] Roberto IZ7VHF has a much more detailed video of The QCX Transceiver. Looks like people are catching QCX Fever! What an amazing Radio! I agree, Pete! It’s simply amazing how self-contained this transceiver is. I like the fact that the kit is through-hole and that the board appears to be high quality. I will soon have one on order. This will be a fun winter project! Thanks for sharing, Pete! 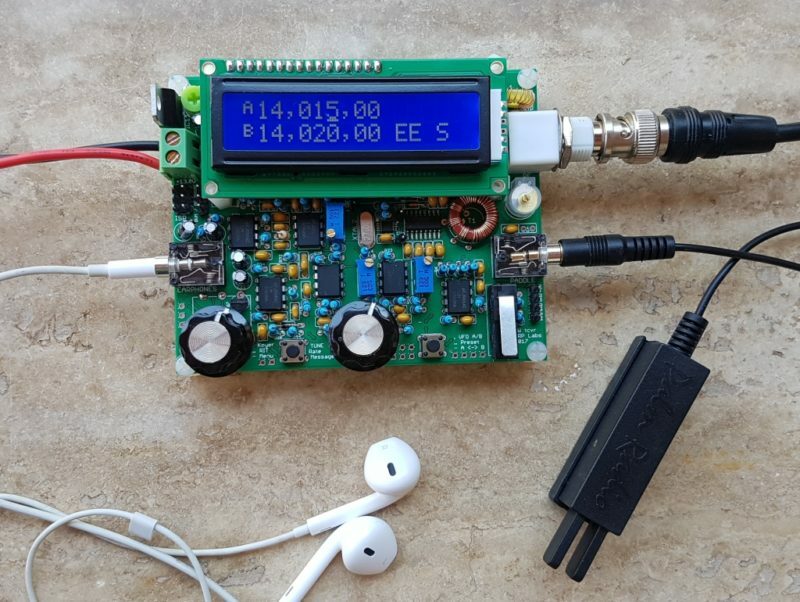 This entry was posted in CW, Kits, News and tagged Kits, Pete (WB9FLW), QCX Transceiver Kit. Bookmark the permalink. Where are they made? And what are the shipping costs?